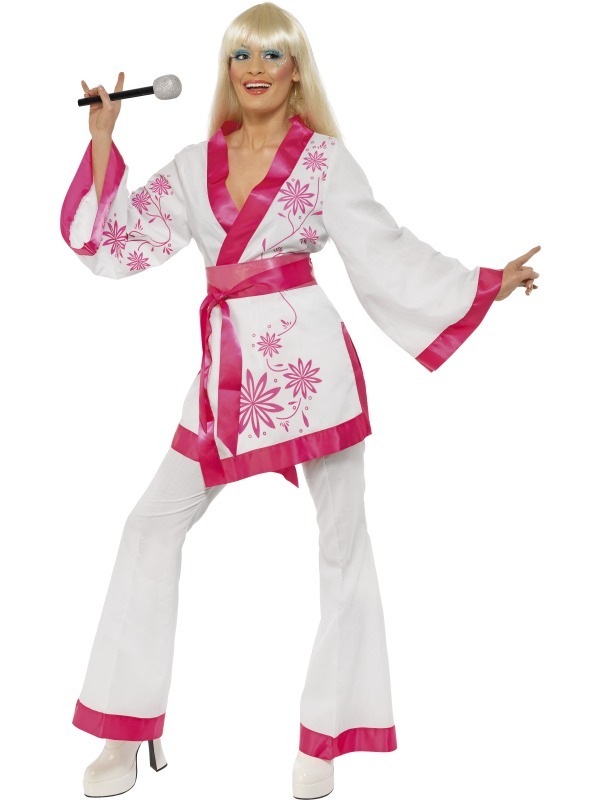 Mini Kimonos Costume, White and Pink, Kimonos Top with Belt and Flares, 1970's. Ladies small U.K size small 8-10 Bust 34.5-35.5", waist 26-27. ", hip 37-38".